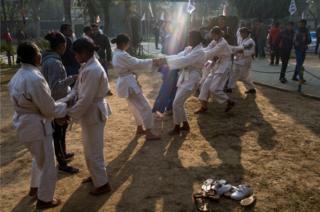 In rural India, young women with visual impairments are seizing the opportunity to learn the techniques of self-defence. Their disabilities mean that they are often most at risk from physical and sexual abuse, and many are unable to leave their homes unaccompanied. By becoming able to defend themselves, more than 60 women have been able to return to school, find jobs and become active members of society. Several have gone on to compete in national championships, winning medals and mentoring other visually impaired women in their area. 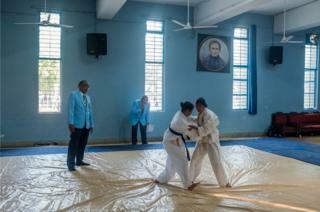 Sudama started learning judo in 2014, and since then her confidence has grown considerably. She has been able to return to school. Before, she was unable to attend because her parents had to work and no other relatives were regularly available to take her. 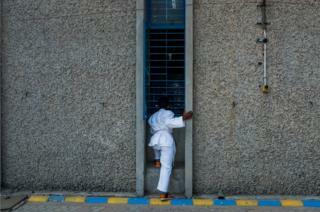 "Before learning judo I was thinking: 'How will I go out? How will my life go on?' I used to be afraid to go to school alone. My mother and father wouldn't allow me, because it was far away." 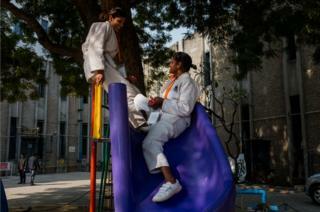 After returning to school, Sudama began teaching judo to her friends and later qualified as a trainer. She has gone on to win gold and silver medals in Delhi, Goa, Gurugram and Lucknow. 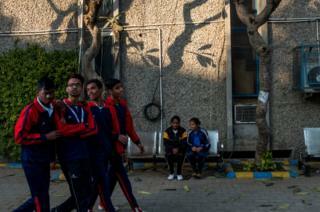 After competing at the National Blind Judo championships in New Delhi, the young women have gained a huge level of respect within their communities. However, they still face challenges. After two years of training, 20-year-old Janki went on to win a gold medal at the National Blind and Deaf Judo Championships. She has recently been selected to compete again at the International Blind Championships, which are taking place in Turkey. But it will be very hard for her family to raise sufficient funds for her to go. Janki remains positive. "I feel very happy that I represented my country," she says. "I never thought my life would be so changed after playing judo and learning self-defence." The classes are organised with the help of Sightsavers charity and local partners Tarun Sanskar. All pictures © Arko Datto / NOOR for Sightsavers.